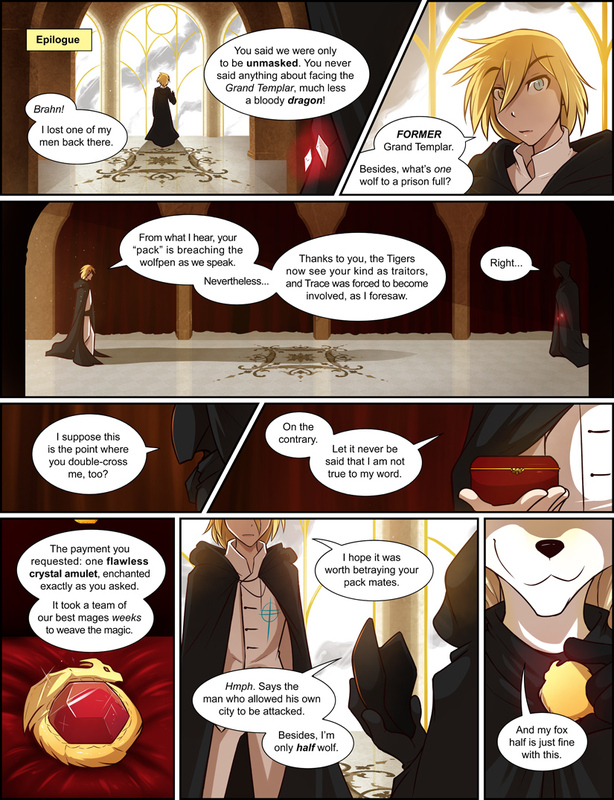 946: Epilogue - Twokinds - 15 Years on the Net! Mysterious Wolf: Brahn! I lost one of my men back there. You said we were only to be unmasked. You never said anything about facing the Grand Templar, much less a bloody dragon! Brahn: FORMER Grand Templar. Besides, what’s one wolf to a prison full? Brahn: From what I hear, your “pack” is breaching the wolfpen as we speak. Nevertheless… Thanks to you, the Tigers now see your kind as traitors, and Trace was forced to become involved, as I foresaw. Mysterious Wolf: I suppose this is the point where you double-cross me, too? Brahn: On the contrary. Let it never be said that I am not true to my word. Brahn: The payment you requested: one flawless crystal amulet, enchanted exactly as you asked. It took a team of our best mages weeks to weave the magic. Brahn: I hope it was worth betraying your pack mates. 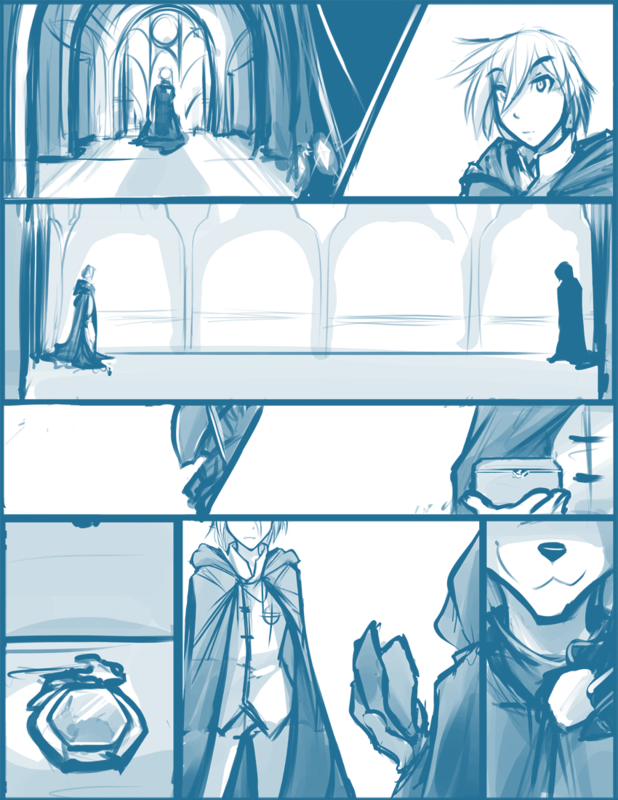 Mysterious Wolf: Hmph. Says the man who allowed his own city to be attacked. Besides, I’m only half wolf. Mysterious Wolf: And my fox half is just fine with this.